© LInda Sanchini. All rights reserved. This picture shows us viewing the American Heart Association and NFL Play 60 hosting a live virtual field trip with Discovery Education from Houston, Texas, for students around the world to learn how fun and easy it is to get heart healthy. 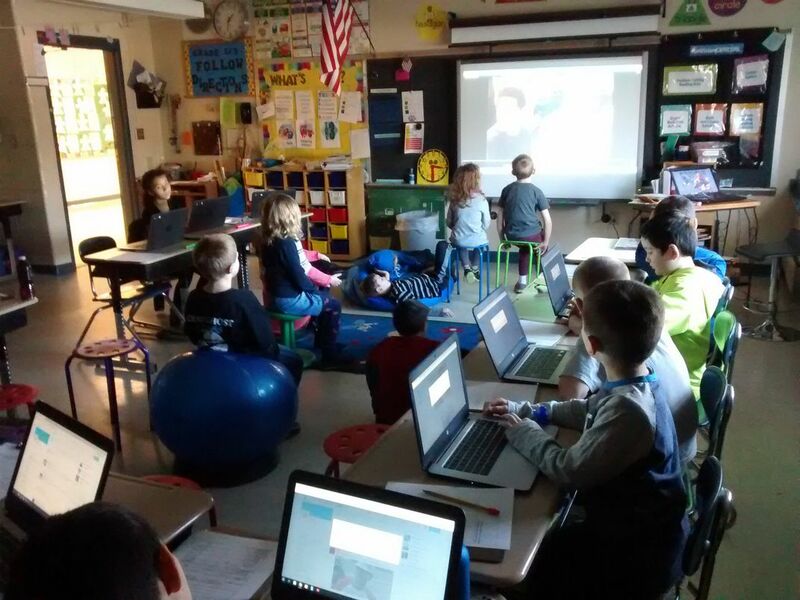 We have viewers and our chromebooks ready to ask questions, make a comment or respond to surveys using Padlet.